I have no idea how long it took her to do all those stripes. Just stumbled upon something really cool. One of Ukraine's prime TV channels, Inter, shot a series of video clips for Ukraine's 19th anniversary of independence (24th of August, today). Each of the clips is dedicated to an ethnic group living in Ukraine -- it starts with a short scene in the language of the ethnicity in question, and ends with the representatives of that ethnicity singing the Ukranian National Anthem, translated into the language of the ethnicity. There's also a caption that says how many of the representatives of this ethnicity live in Ukraine (e.g "there are 150,000 Ukraininan Romanians who call Ukraine Motherland") and it ends with a tagline "We're different, but we're all one!". Pretty darn great. I was really pleasantly surprised to see this. Those of you who know me also know my peculiar attitude to national matters, but this is just fantastic. This is the best I can possibly wish to Ukraine in the years to come -- and with that, happy birthday, Ukraine! The scanned originals are here on the RusArchives site (in Russian). That's big. The Poles should've discovered those natural gas deposits of theirs earlier, I say -- these documents would've been public for years now. I have to agree with Steve -- if this is what it takes to have compile-time type-safety in a language, I'll take dynamic typing any day. There's got to be a better way -- perhaps Haskell? Haskell is a pure functional language with a fast implementation that seems to have solved the I/O problem of functional languages well -- while its Monads are truly deep and take real work to create, their use seems quite straightforeward. Perhaps my biggest disappointment in Scala is that they have so many rules to make it possible to write code that looks straightforward, while being anything but -- these rules all seem to have innumerable exceptions, making it hard to know when writing simple code will work and when not. David Pollak, the guy behind Lift web framework then makes a valuable point that I think I agree with very much. Scala is about tradeoffs, and getting the compiler involved in validation of your library design while keeping the glue code / code that uses the library pretty and transparent. Unlike any other language I've used (C, C++, Objective-C, Java, Ruby, etc. ), the kind of thinking I have to do as a library consumer and library producer are radically different. 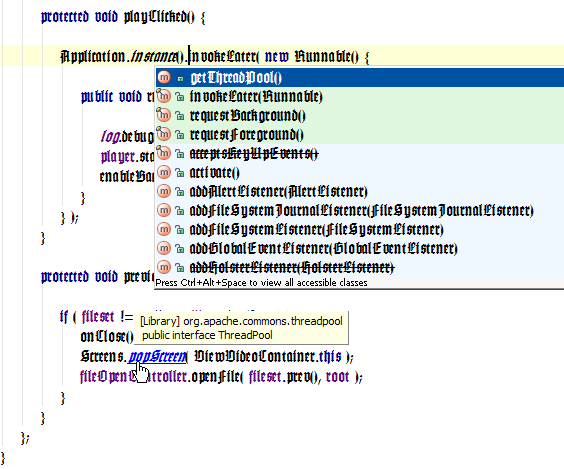 As a library consumer, I rarely concern myself with Scala's type system... or most of the other language complexities. My consumer code looks and feels a lot like my Ruby code did. I've got great DSL support. For the most part, the types that the compiler doesn't infer are the ones I need to document anyway. But, unlike my Ruby code, I only need 50%-60% test coverage (vs. 95% coverage) to have stable, deployable code. As a library producer (http://liftweb.net), I spend a lot of time reasoning about the types of parameters. This allows the compiler to flag illegal types (e.g., passing an Int into a query against a VARCHAR column). The type system also allows me to reason about my code and how the consumers will use my libraries in a way that I could not do in any other language I've ever used. Yea, I was hanging out in Times Square, reminiscing to the rhythm of the city. Walking up and down Broadway, checking out all them fine babes. Dancers on their way to class. Birdland, the jazz corner of the world! Yea, I played with Mingus at Birdland one night. I said, Charles, can I play one with you? He said yeah, come on, man. As long as the union don't bust us. Well, no sooner said than done, Mingus counted off Charlie Parker's "Coco", fast as he could play it. And man, that was fast. Well, I got off two choruses without getting too bruised. And then when the set was over James Hoodie came over and gave me a big hug, and said, man, you made it! Made me feel real warm. Gave me the courage to keep on keeping on, Jack. Yeah! Well, I sure felt good that night. The Mingus Big Band, "Nostalgia in Times Square"